Eddi & Ryce Photograph Second Life: Ask Eddi: Do You Have Any Advice for Building a Long Term Relationship in Second Life? Ask Eddi: Do You Have Any Advice for Building a Long Term Relationship in Second Life? I saw your invitation for your three year anniversary party this week. How on earth have you and Jago managed to stay together for three years? 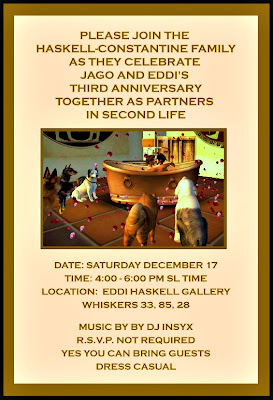 My longest relationship in Second Life has lasted 7 weeks. Please let us know how you and Jago have pulled off this feat. First of all let me take the opportunity to extend the invitation to all blog readers. On Saturday, December 17, Jago and I will be celebrating three years together and will be having a party that all you blog readers are invited to. I have to admit, kind reader, that three years together in Second Life is a rare feat. And I continue to love Jago every bit as much as much as the day I met him in October 2008. I have written advice about how to build a long-term relationship here before, and I will so again from a fresh perspective. 1. Give your partner the benefit of the doubt at all times. This is rule number 1. Do not let real life "relationship baggage" stop you from having a successful relationship in Second Life. 2. Take time to communicate. If you do not voice, and just text, this becomes even more important since much communication revolves around aural cues that cannot be effectively communicated in type. 3. If you can handle it, agree to an open relationship relationship - but one with rules that you both can live with. If you cant deal with an open relationship, and catch your partner "cheating" on you, realize that he or she is only human. 4. Having time off from Second Life is good for the both of you. Make sure to give your partner as much "breathing room" as he or she needs with requested "time off", and insist that your partner do not give up real life interests at the expense of seeing you inworld. 5. Give your partner "space" to do things in Second Life that you yourself might not want to do whether it be clubbing, shopping, hanging out with your own friends, - or anything else for the matter. Space is good in most cases; and you and your partner will appreciate each other even more when you give each other breathing room. 6. I personally would never partner with anyone who did not give me an email address, and a way to contact him outside of Second Life. I feel that such channels build trust -- and do not compromise real life identities if that is an issue. Having a "safety" communication line is essential. 7. Never ever confront your partner when you are angry. Things will be said that you will regret. Log off, and wait until you are calmed down. 8. If you decide to change your appearance in a major way, make sure to bring your partner into your decision. As much as we deny it, the visual appearance of an avatar is what may have attracted us to each other in the first place. 9. Get your expectations for the relationship set in the beginning. What do both of you think about moving this relationship to real life? Are you planning to voice? What about opening a club together? How long are both of you planning to stay on Second Life? Are you both looking forward to a wedding? The more you can communicate right off at the outset, the better off you will be. 10. Long distance relationships are a challenge. Although Jago and I are halfway around the world from each other, our relationship works because we plan our Second Life time in advance. Morning for me in Florida is nighttime for Jago in Australia, but since we know when we will get together, it works well, Make sure proper planning, along with a channel of communication outside of Second Life (point 6) is available if you need to cancel or change times that you get together. And that readers, is my advice for today. 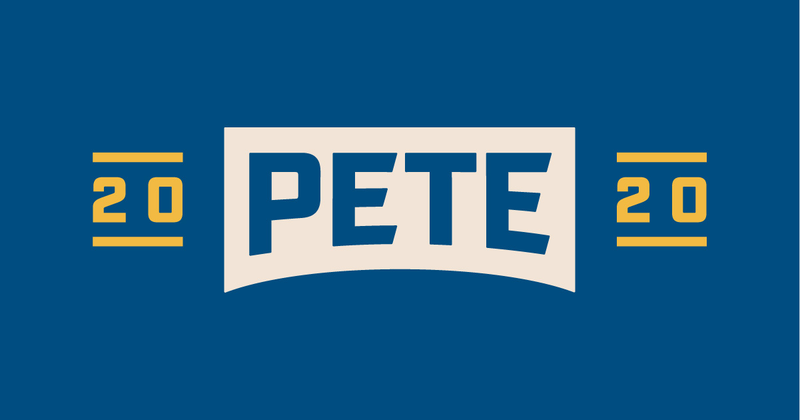 If you would like me to answer your questions, please leave a note in comments and I will see if I can provide advice to you. I can't guarantee I can answer all questions, but I will answer them if I think I can be of value.